• October through May, once a month on the first Monday of the month. • June through September, twice a month on the first and third Mondays of the month. • Unlimited pick-up once a year (May), date to be determined. 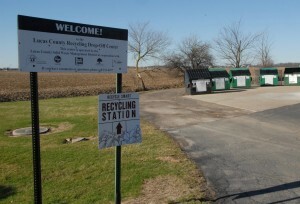 Richfield Township trustees take great pride in offering a recycling program for our residents. We encourage you to get involved in making Richfield Township a cleaner place to live. Recycling is a great way to improve the quality of our environment. Below is a list of items that are recyclable at the community recycling drop-off.